Ok. I don’t sew. When I was a kid I tried to sew but I just don’t have the patience these days. However, sometimes I come upon an accessory to a particular craft that propels me off the bench and at the very least makes me want to buy the accoutrements that are so unique and lovely. 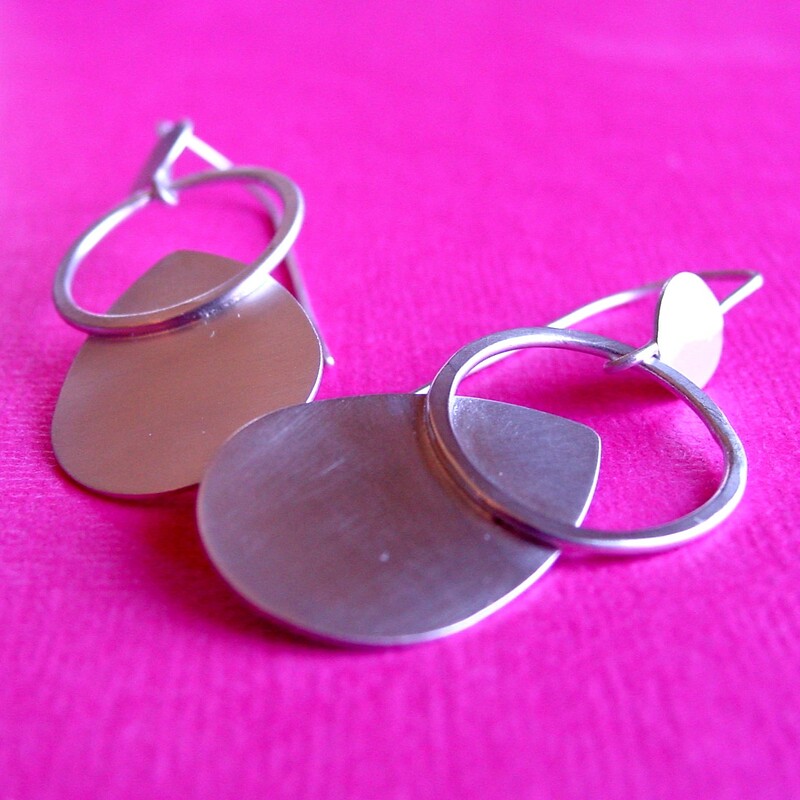 Ask my husband, I have had many crafts over the years that focused more on the procurement of tools and accessories than the actual craft…Thankfully I have found my craft and I’m sticking with it (silversmithing)…. WhitePaintandRibbons handmakes some of these treasures and Abby has them for sale in her Etsy shop. Abby is not only talented in combining vintage textiles into these treasures, she is also one of the nicest people I’ve ever met, which makes WhitePaintandRibbons an even greater treat! Check it out and be sure to tell her that you are CLEVER too. I knew I had to use raindrops…Then I formed, soldered, hammered and polished some rings for future earring projects… But I needed to play with my torch a bit more (it’s just so calming)…Every piece added was “ok this is the last piece” and then I’d meticulously hand finish the whole piece to a mirror shine and then Eureka! I’d think of something else… Finally here’s what I came up with these earrings…At first look they seemed like round, centered goddesses embracing their bellies…At second look I realized that perhaps the obvious was too easy… These represent the elements, Earth (the little circle), Air (the negative space in the ring), and Water (the drop)…But what about fire? Silly- these were combined using fire, of course! Still, I think they look a bit like goddesses, like amazing, modern women (satin finished, sterling silver women!…) These would make a great gift for that modern mama next month! Come on in! The sun is shining and the water is warm! Hola! Yay! This is my first official blog (ok, I have one on myspace, but this feels so much more grown up…I’m not admitting to growing up, mind you…Sometimes it’s fun to feel that way, but it’s still much more fun to be a kid (at heart…my bones are 31)…. You can see some of my creations at http://clevergirl.etsy.com ! Can’t wait to see you there!